I’ve lived virtually my entire life as a resident of the fair city of San Antonio. I’ve moved away a few times, but I always find myself called back by the Alamo City’s siren song. As a local, I take tremendous pride in all things SA. And I had a chance to exude some of that pride this week as I took a co-worker (who hails from that big town east of us that rhymes with Schmouston) to experience the OG of San Antonio burger joints for the first time, the legendary Chris Madrid’s. If you’ve read any of my articles for SA Flavor you’re familiar with my ingrained belief of eschewing highfalutin foodie trends for simple, old school staples. So when I saw Chris Madrid’s would be participating in Culinaria’s Restaurant Week (that runs from August 13-27), I knew I had to go. 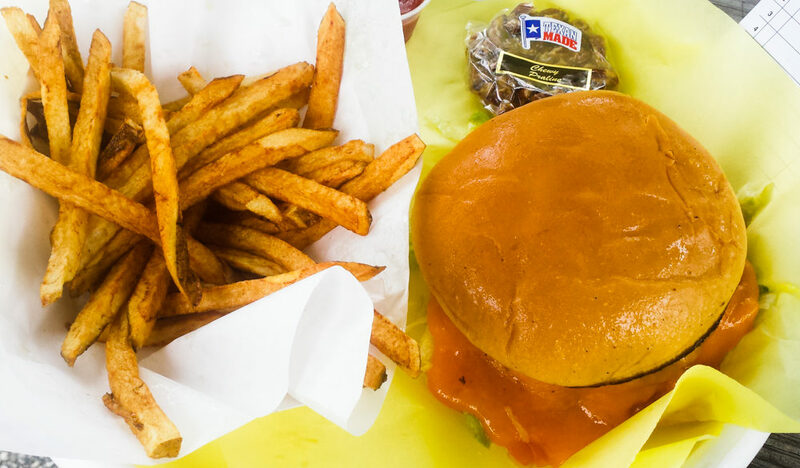 The chance to expose someone to a true taste of what San Antonio has to offer was just cheddar on top of the metaphorical burger. 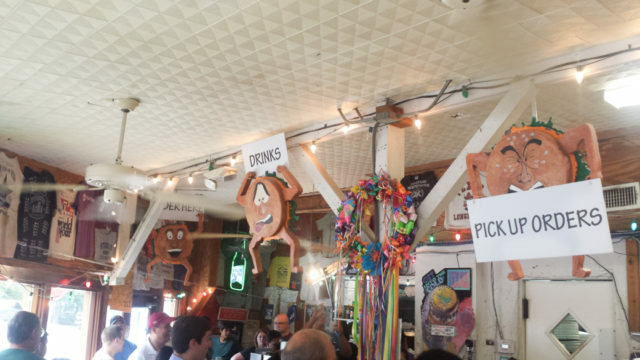 Chris Madrid’s has a carnival type atmosphere during lunch. Photo by Eric Moreno. For Culinaria, Chris Madrid’s offered a “Tier 2” three-course meal for a measly $10. Let me tell you right now, this is one heck of a deal! It includes an appetizer of bean and cheese nachos, a Cheddar Cheezy (quarter-pound burger with 60-day-aged melted cheddar, mustard, lettuce, tomato, diced onion and pickles), hand-cut fries and a chewy pecan praline for dessert. Bam! Bean and cheese nachos at Chris Madrid’s. Photo by Eric Moreno. My work buddy and I each ordered the deal. First things first, the nachos; you really can’t beat a bean and cheese nacho that uses really good products. The beans and cheese were great and you have to top them off with jalapeños. But that burger… That’s something truly special let me tell you. There’s something gleefully outlandish about what Chris Madrid’s does with their burgers. You’ve got the buns that glisten with butter. 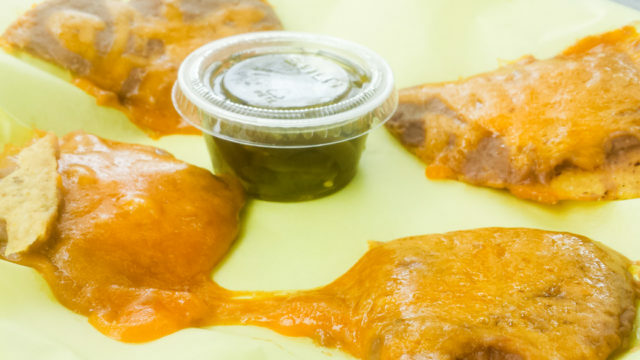 You’ve got that previously mentioned skirt of cheddar cheese (if you’re not ordering the cheddar, I’m sorry, but you’re kind of doing it wrong). 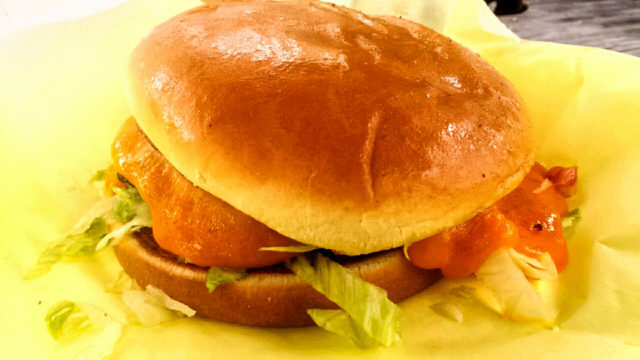 And you’ve got that perfect patty, just seared perfectly on a flattop. Everything comes together and it’s magical. The Cheddar Cheezy burger at Chris Madrid’s. Photo by Eric Moreno. The first timer thoroughly enjoyed it and they can’t wait to return to eat a Macho-style tostada burger. And even though I’ve been dozens of times, it’s easy to forget how much I like Chris Madrid’s. It was nice that Culinaria’s Restaurant Week was there to remind me. 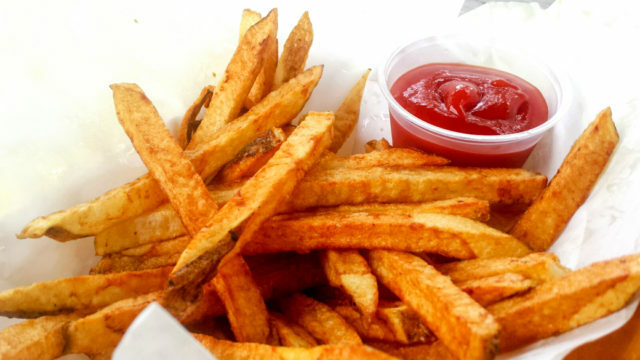 Everyone has their favorite, go-to burger joint. I’ll admit mine fluctuates depending upon which of my personal “core three” I’ve visited most recently. Suffice it to say, at this moment in time, Chris Madrid’s rules. 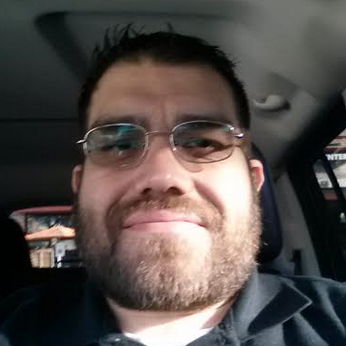 Eric Moreno is a freelance writer living in San Antonio. He is a chicken fried steak and doughnut scholar, a devoted fan of UTSA Football (Go Runners), writes a beer column for The Current, and a blog for USA Football. Follow him on Twitter: @EricMoreno6477.